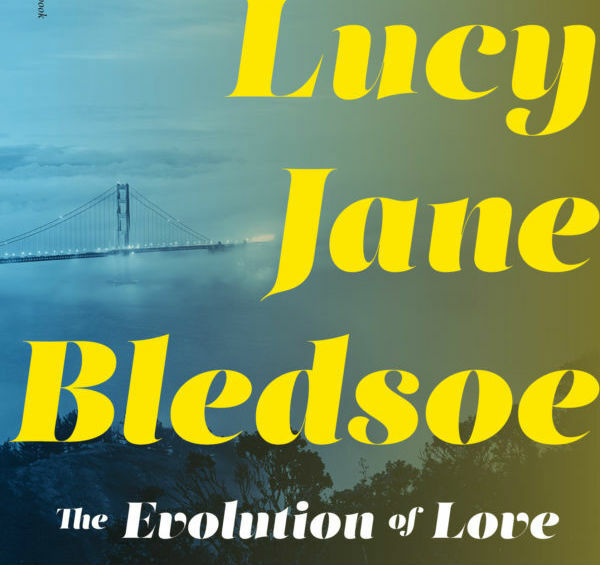 Lucy Jane Bledsoe’s new novel, The Evolution of Love, brims with energy. In the opening scene, our protagonist, Lily Jones, walks west toward the San Francisco Bay Area, after flying in to Sacramento from Nebraska, in search of her older sister, Vicky. There’s been a devastating earthquake, and the region has been evacuated, but not everyone has left, and Lily, sweet, stable, dependable Lily, is hellbent on rescuing her sister, even if she has no idea if she’s still alive, even against her husband’s wishes. As she navigates the broken freeway, she comes across two abandoned pit bulls eating the dead driver of a sports car. 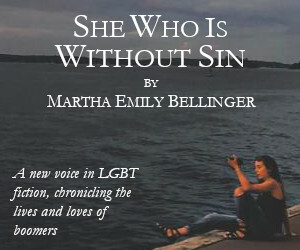 When Lily vomits, the dogs abandon the body to lap it up, forcing Lily to seek refuge in the back of a Fed Ex truck, where she locks herself in for the night. This squeamish, if realistic, moment is a good first look at Lily’s mettle. She might have married her high school sweetheart and settled down in the town she grew up in, but she’s no shrinking violet. She might claim finding Vicky as her reason for undertaking this ill-advised adventure, but it soon becomes clear that she has an agenda all her own. The Evolution of Love features a number of intersecting plotlines and an intriguing cast of disparate characters. Bledsoe writes this strange new world with a confidence that the reader can trust, even if the occasional practical or logistical question does interfere (Where is the Red Cross? FEMA trailers? Perhaps these are the same questions those on the ground are asking), and while the shattered communities of Berkeley and Oakland are fascinating, the true heart of the novel lies among its characters. Lily—perhaps because she’s an outsider, perhaps because of naivete, or perhaps merely because of some invisible, privileged magnetism—draws a fast crowd of followers. There’s Kalisha, the ex-philosophy PhD and ex-addict, who runs the community meals program at Trinity Church where Lily first turns up and unwittingly gets herself a job. There are Annie and Binky, two homeless teenagers desperate for safety and affection. Then there’s Sal, Vicky’s hyena expert estranged ex-girlfriend, and Wesley, a grieving blogger who buys Vicky’s Harley but never leaves Lily’s thoughts. Last but not least is Travis, Lily’s longtime pen-pal and bonobo expert, recently returned to Berkeley after a tragic incident on the Congolese sanctuary where he’d worked for 20 years. Only Vicky remains aloof, keeping Lily at arm’s length, despite (or perhaps because of) Lily’s repeated pleas to make haste. As the story unfolds, alliances are formed and shift, violence brews, secrets are revealed, betrayals shake longstanding relationships, aftershocks rattle the city, factions form, and characters die. (It’s a testament to Bledsoe’s skill as a writer that by capturing the disturbing ways that people die, she manages to pull heartstrings without resorting to sentimentality. Death is a fact of life here, and Lily and crew mourn in their specific, human ways.) 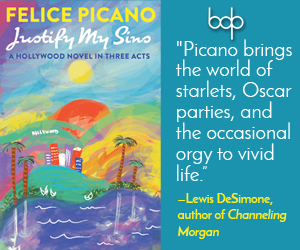 Bledsoe strikes a deft balance between the personal and the political throughout the novel—one of its many strengths is how deeply we are brought to care about Lily and her crew’s fate by being forced to confront the brokenness of a world that looks—very eerily—like the one we currently inhabit. Ultimately, The Evolution of Love is about love and community triumphing in the face of disaster. As Lily and friends finally head east following a second earthquake, the novel echoes Edward Abbey’s The Monkey Wrench Gang, without the ecoterrorism (no need, Mother Nature’s taken care of it). It’s a necessary journey, though temporary, because like it or not, Berkeley is home. This unlikely band of misfits might not get it all right, but they’ve proven themselves brave enough, and crazy enough, to fight for the world they believe in building, and for each other.